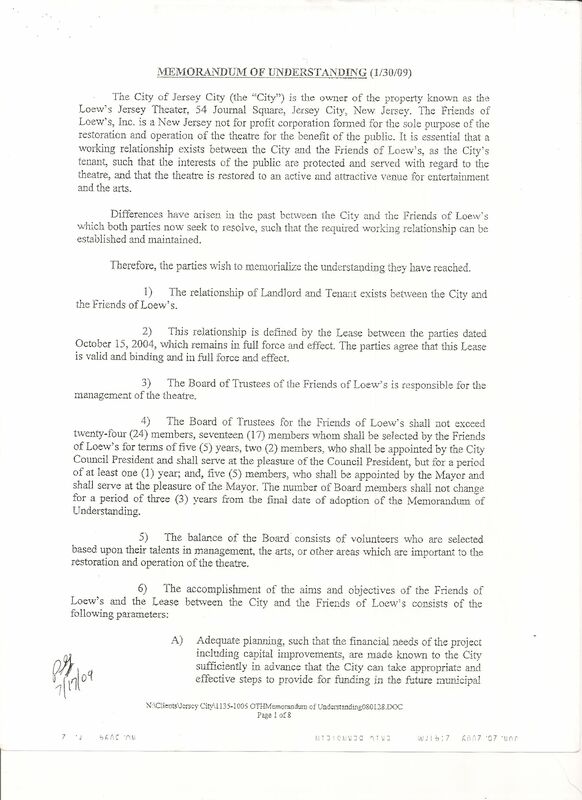 Mayor Steven Fulop is continuing his attempt to force Friends of the Loew’s out of our role of managing the Loew’s. According to the Mayor, the City knows what’s better for the Loew’s: he wants to give the Theatre to a for-profit promoter (picked by a committee the Mayor appoints) to run it mostly as a pop concert venue. In recent statements, Mayor Fulop gives FOL a back-handed compliment for our early work to save the Loew’s. But he goes on to spin out a narrative that depicts FOL as inept and having failed to do what we are supposed to do in running the Loew’s. He even says FOL is being selfish and acting against the public good. Still, the Mayor’s complaints should be thoroughly rebutted, so FOL has created a new website just for this purpose with a lot of info, Q&A’s and even a forum: www.friendsofloews.org. 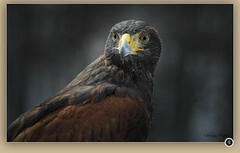 We’re adding more to it regularly, so we hope you’ll keep checking it out. 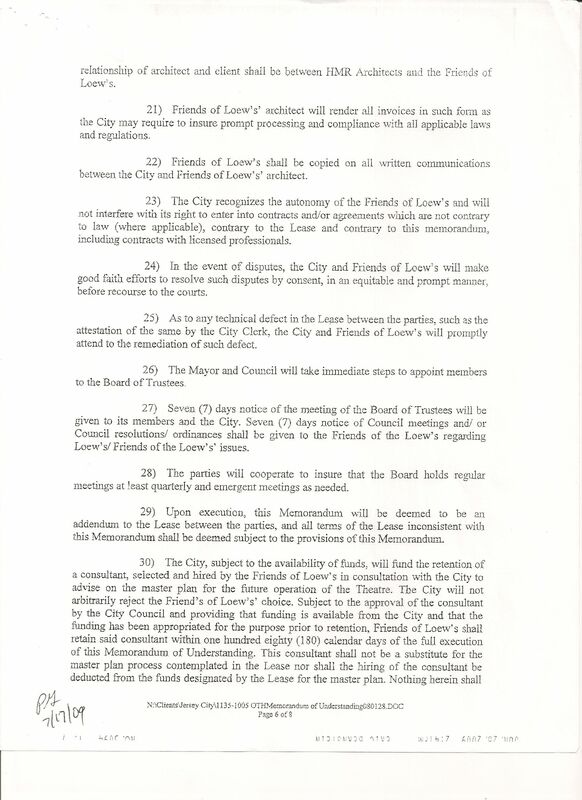 But the most direct way to correct the Mayor’s misimpression that FOL is somehow acting against the public good and has not done what it is supposed to do is to invite everyone to read the Lease of the Loew’s from the City to FOL. We’ve put it online at the new website, right here. What Mayor Fulop never says is that the Lease is not just about control of a piece of real estate. It’s a plan that FOL and the City have jointly agreed to, almost a partnership, in which the City acknowledged the need for it to do certain things that would enable FOL to expand programming and grow the Loew’s into a fully operational arts center. And in turn, FOL committed to work toward a set of goals once the City had done what it was supposed to do. The goal is to create a multi-faceted arts center like the ones in New Brunswick, Atlanta, Columbus, Schenectady and many other cities. 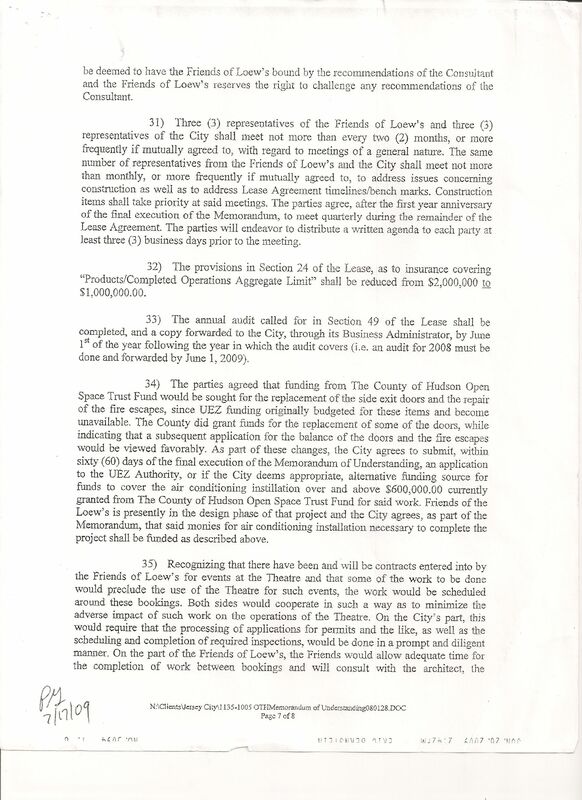 Here’s a quick background about the Lease: Even though FOL’s program of volunteer repairs had made it possible to use the Loew’s on a limited basis by the end of 2001, there was more work to do before the Theatre could operate on a regular, sustaining schedule like other arts centers, and this work could not be accomplished by volunteers alone. The most critical of this work was needed to comply with fire and safety codes — things like sprinkler and smoke-detection systems, emergency lighting and fire escapes. But the Loew’s also needed a whole new air conditioning system. And even though we had gotten most of the Theatre’s vintage 1929 stage lighting working, it was woefully inadequate for modern productions. At first, the City didn’t understand any of this and pressed FOL to host more and more events regardless. To meet this demand, FOL expanded our program of volunteer labor into operations (since a paid staff was unaffordable with the very limited use that the Loew’s could support). We began our classic movie screenings and tried to work with anyone who was interested in putting on a show, but it soon became apparent that most commercial concerts weren’t possible in the Theatre’s condition. 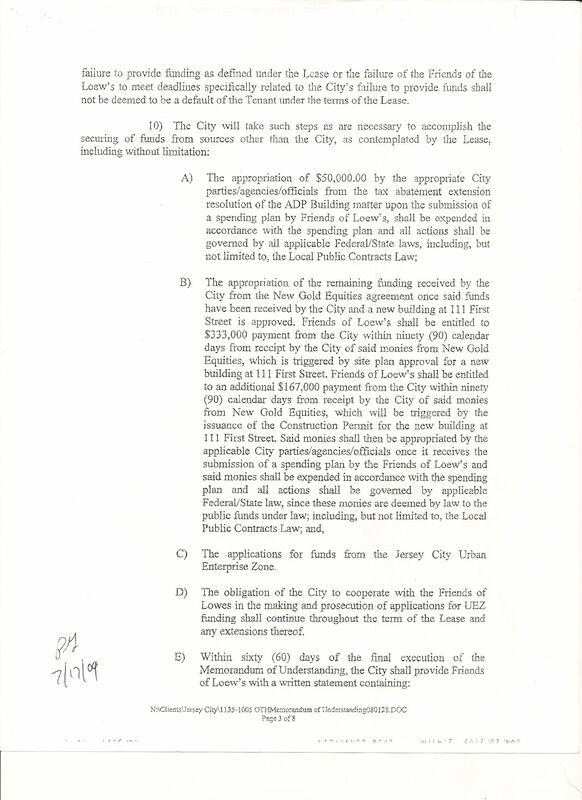 With an official City ordinance saying all this, it’s hard to understand how Mayor Fulop can argue that FOL is being selfish and not acting in the public good? And a few pages later, the City agreed to support use of Urban Enterprise Zone money it had on account with the State to make those critical repairs, and to find alternate funding if UEZ moneys were not available. The City also promised UEZ funding to help FOL retain expert arts-management consulting to help us refine business plans for the expanded operation of the Loew’s. In return, FOL agreed in the Lease to apply to Hudson County for a grant to pay for a new air-conditioning system. We also agreed to pursue a list of goals and benchmarks for the Loew’s once the City had provided the funding for the code-related repairs and the planning. 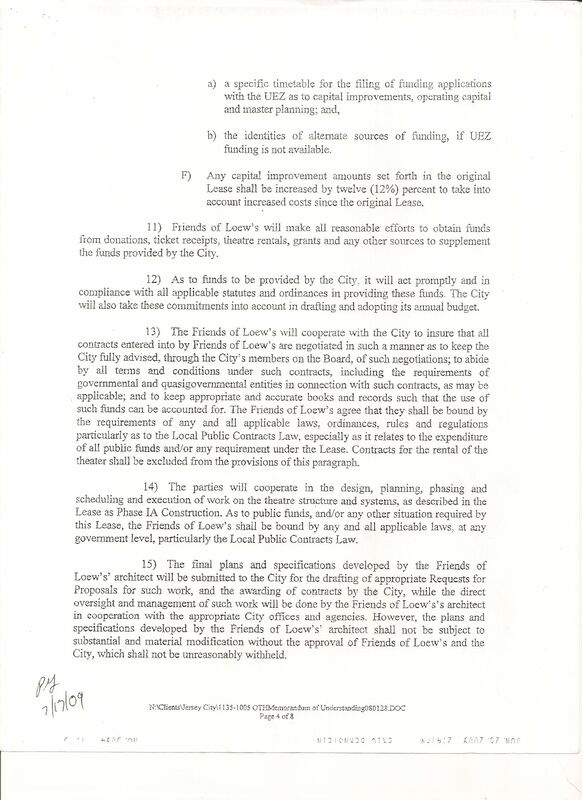 And there was an underlying understanding to the Lease that City support for the Loew’s and FOL’s mission would create the strong base FOL needed to begin to seek private donations and grants for additional upgrades to the Theatre — starting with the need for new stage lighting and sound equipment. All together, the Lease created a balanced, reasonable plan to build on what FOL had already accomplished and grow the Loew’s into a fully functioning, mutli-faceted arts center for Jersey City. FOL did win a $600,000 grant from Hudson County for air conditioning. (And later, we won an additional $187,000.) We held a fundraising kick-off event. And we gave the City draft applications to the State for UEZ money for the code-related repairs and planning. But the City stalled on submitting those applications. And then … barely a year after signing the Lease, the City tried to claim it was not valid! Four years of legal wrangling followed, wasting FOL’s time and money on lawyers’ bills. Meanwhile, the City made no effort to secure the money it had pledged for the code-related repairs or planning. Finally in 2009, the City acknowledged that the Lease was valid after all, and recommitted to finding the funding for the code repairs and planning. In fact, the City actually agreed to provide additional funding. 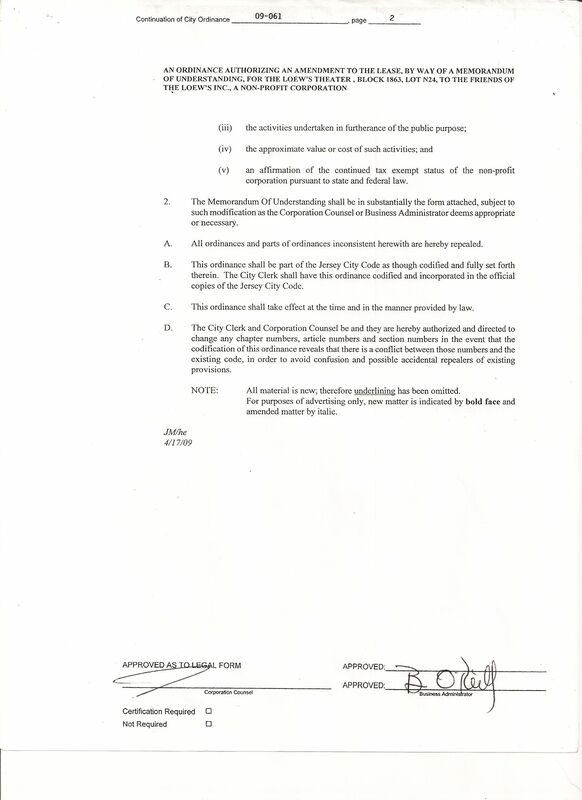 READ THE MEMORANDUM OF UNDERSTANDING. 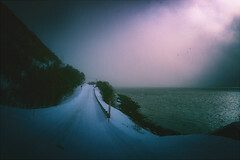 Throughout 2010, the City met with FOL repeatedly, but still did not apply to the State to allocate most of the UEZ money for repairs and planning. The City implied it didn’t have enough UEZ money on account. 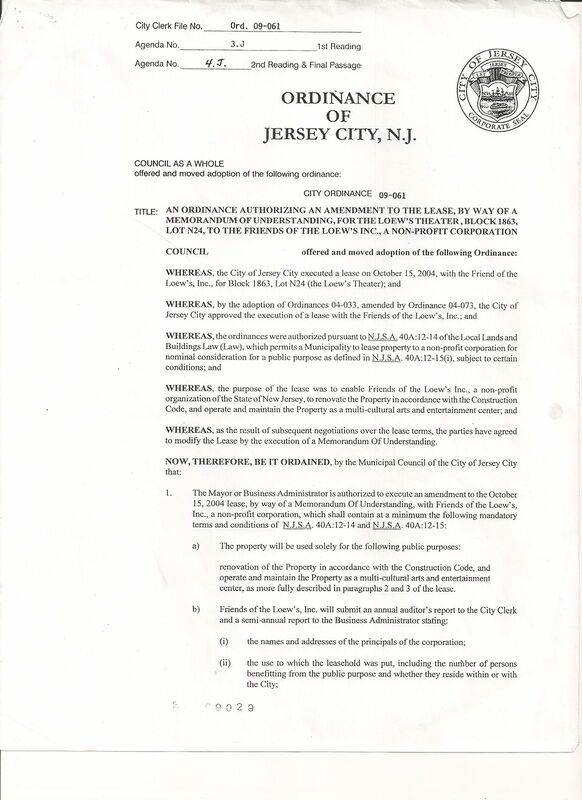 But in late 2010, the State essentially confiscated all unallocated UEZ moneys; Jersey City lost $12 million — more than enough to have taken care of the Loew’s. After that, even though the City is supposed to look for alternate sources of funding, it has done nothing. At the City’s urging, we got Hudson County to agree to allow its grant money for air conditioning to instead be used to make some of the code-related repairs the City was supposed to fund. Now, unbelievably, Mayor Fulop is refusing to let us proceed with making these safety-related repairs! If the City had just done what it is supposed to under the lease, by 2008 at the latest FOL would have been in a position to work with promoters like Live Nation, AEG and Bowery Presents to bring in a much more regular schedule of major concerts, and this in turn would have helped support more of everything else at the Theatre. How has the City’s failure to uphold its end of the Lease hampered FOL’s operation of the Loew’s in practical terms? Most obviously, we haven’t been able to make the code-related repairs that would have allowed the Loew’s to function more fully like other arts centers. We can’t use the 1,000+ seats in the balcony, which is a deal-breaker for booking with many pop concerts and the revenue they would generate. Whenever the Theatre is open to the public, FOL has to pay to have Jersey City Fire Marshalls present — last year alone, FOL paid Jersey City $15,000 for this. That’s a big financial hurdle for many smaller shows. And the need to have Fire Marshalls here also creates a practical limit on the number and variety of activities at the Loew’s. It’s impossible to have Fire Marshalls here every day for hours on end, so FOL can’t create daily recurring programs such as an after-school theater camp that are mainstays at other theatres. And without air conditioning, the Loew’s can’t operate for three months out of the year. But the City’s failure to follow the plan has created an even more daunting hurdle by making it virtually impossible for FOL to seek major private donations and grants in a fiercely competitive fundraising environment. Who would even consider giving money to our cause when the City won’t even find the money to bring its own building up to its own codes? In plain terms, the City has left FOL holding the bag having to try to operate a building the City admits can’t be properly operated in its current condition. 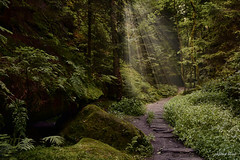 But FOL has met this challenge. We created an operating model tailored to the Loew’s current condition. Since we can’t bring in many revenue-generating concerts, we earn badly-needed income by making the Loew’s available for weddings and other events — which is actually something many other theatres do. We are able to pay two employees and occasional per diem contractors, but have otherwise built a staff of volunteers, the key positions of which are filled by professionals in their fields, including sound engineers, production manager, facility maintenance, stagehands, accountants, and more. We’ve built a reputation through the region for classic film. We’ve created and co-sponsored signature events such as StageFest, our Volunteer Expo, the Golden Door International Film Festival, Visit Santa, Holiday Concert, Diabetes Wellness Day, and more. We work with local organizations from the Board of Education to NJCU to Art House to bring in programs. And for the last two and a half years, FOL has been using our own funding to tackle the other big problem that makes it hard to utilize the Loew’s. To date, we’ve acquired over $200,000 worth of modern stage lighting and sound equipment. This has already made it easier for FOL to work with local arts organizations. In the last sixteen months alone, FOL has hosted some 90 events, from a big pop concert to a stage production by young people. Bottom Line: Despite the City’s failure to do what it’s supposed to do, FOL did not walk away from the Loew’s. Instead, we are running the Loew’s to the fullest extent it can support as an arts center. And that’s what we are supposed to be doing under our Lease. 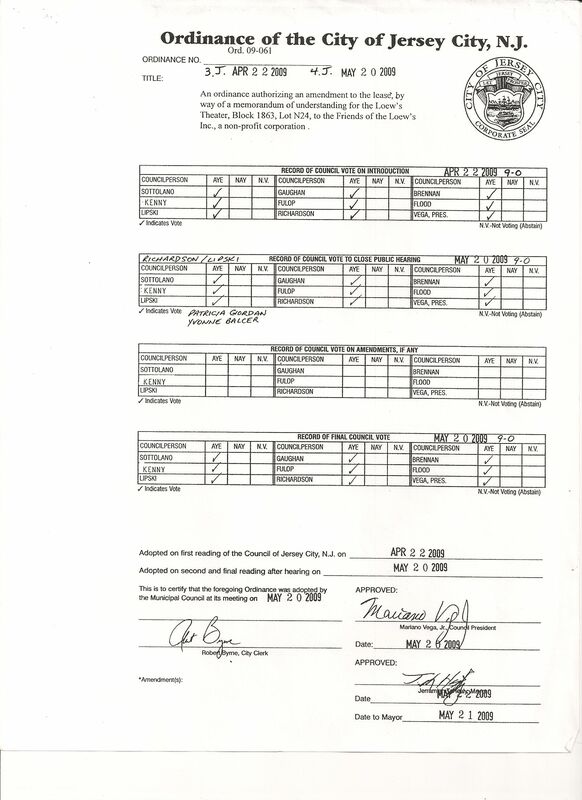 So Mayor Fulop is not correct when he claims FOL has failed to do what we are supposed to do. He should be asking how much more FOL could do with cooperation from the City. Instead, he’s trying to use the limitations that the City’s own failure has imposed to try to justify abandoning the goal of creating a fully functional multi-faceted arts center. That is ironic and wrong. Stay tuned. We’ll follow up with more about this situation in the next few days. 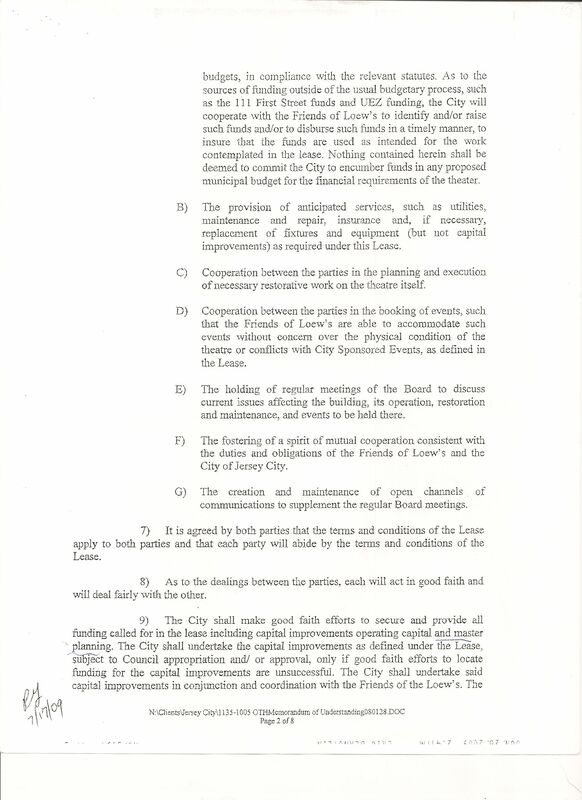 Read the Ordinance and Memorandum Of Understanding dated July 17, 2009. 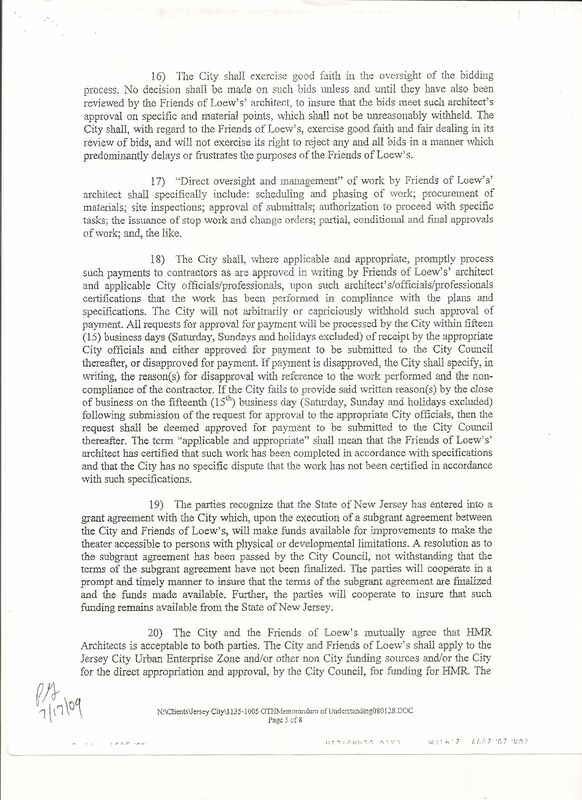 This document serves as the City of Jersey City’s official admission that the Friends of the Loew’s Lease from 2004 is valid and fully in effect. 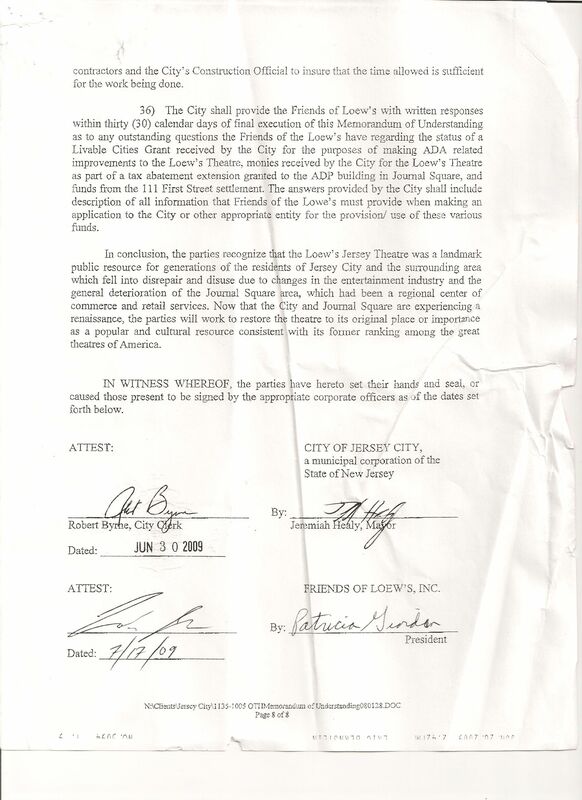 This is the same Lease with renewal that the Friends of the Loew’s is operating under.